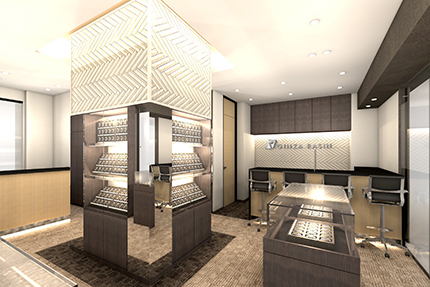 GINZA RASIN Sales and purchase of second hand and brand new watches such as Patek Philippe, Rolex and Franck Muller. 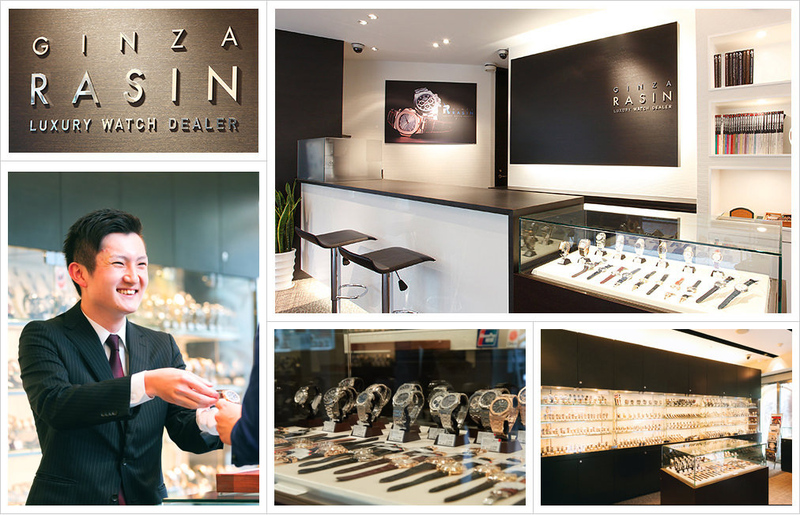 GINZA RASIN is an exclusive watch store focusing on famous brands such as Patek Philippe, Rolex, Franck Muller, Hublot, Omega, IWC, Breguet, Cartier and Panerai. From rare models to the latest popular models, we always sell more than 1,000 products. We handle not only brand new items but also high quality second hand. We have been well received by handling these second hand in a high-quality condition. 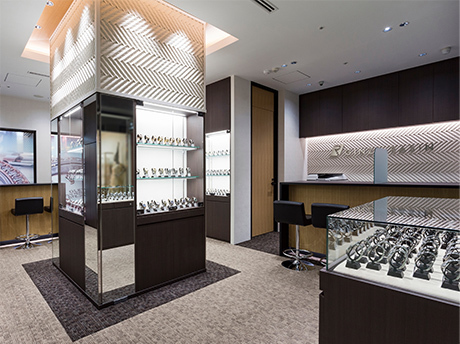 Since the store is located in a pricey neighborhood Ginza, many customers come to the store every day. We are handling TAX FREE treatments. You can purchase at 8% off. We accept various credit cards such as VISA and MASTERCARD as well as cash. There is no credit card handling fee. 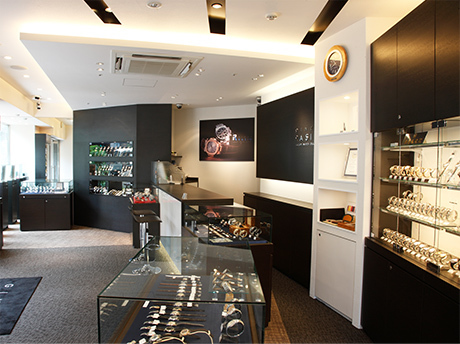 The shop has staff members who are fluent in English, Chinese and Korean. In addition, we have introduced a translator, which supports 74 languages. We handle not only new items but also high quality second hand. We have been well received by handling these second hand in a high-quality condition. 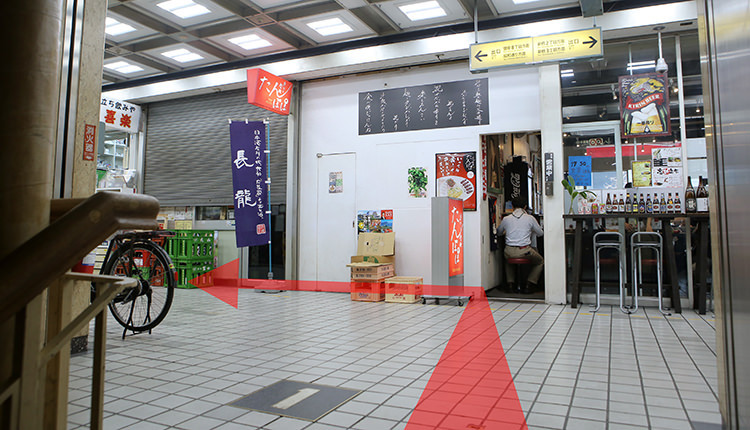 Since the store is located in a pricey neighborhood Ginza, many customers come to the store every day. 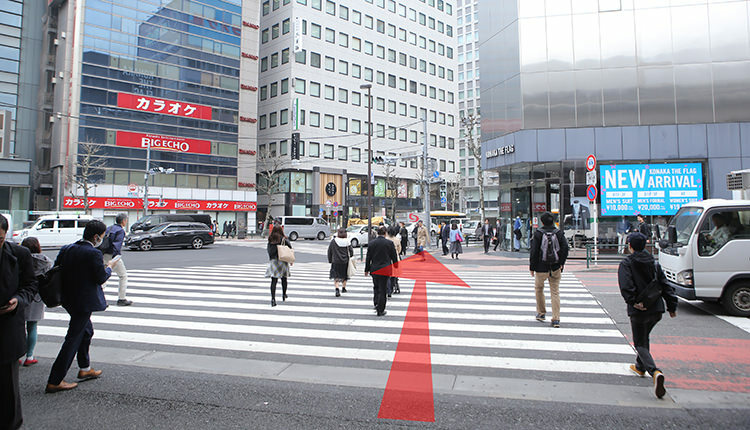 ②Cross the intersection in front of Shimbashi station. 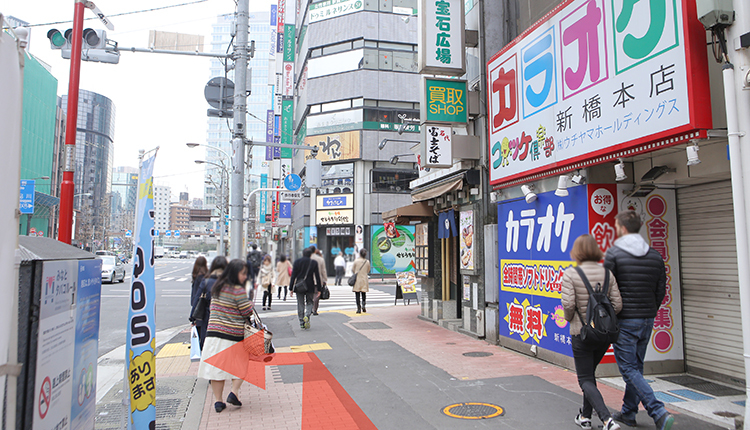 ③Walk about 50m you will see a karaoke shop on the right. And cross the intersection in front of you to the left. 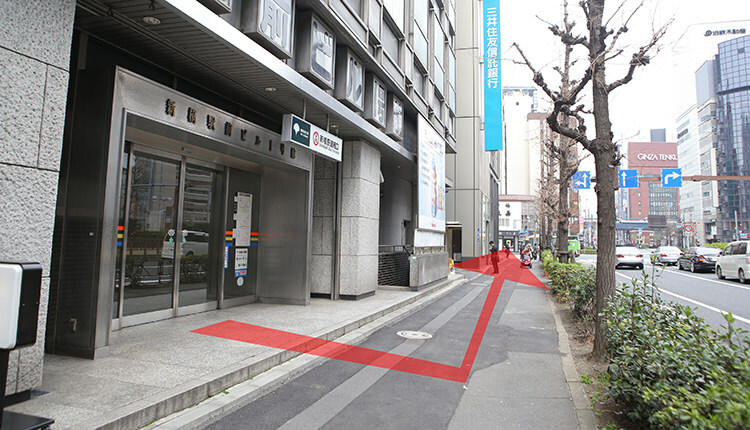 ④Follow the alley next to the convenience store(Family mart). 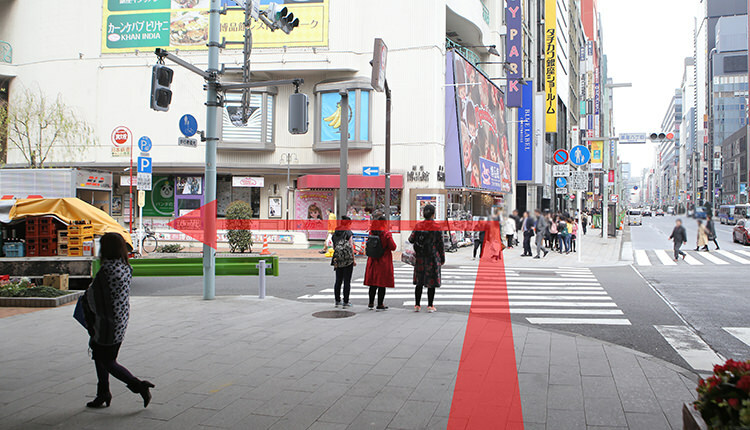 ⑤You can see the elevated railway ahead, go straight ahead with it as a marker. 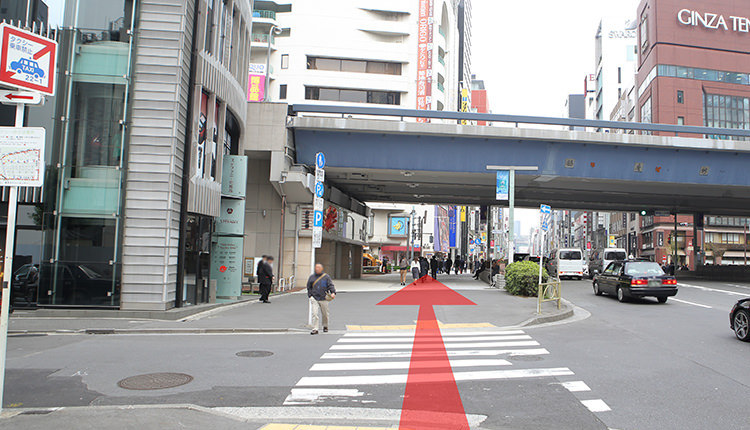 ⑥Pass under the elevated railway and turn right at the intersection in front. 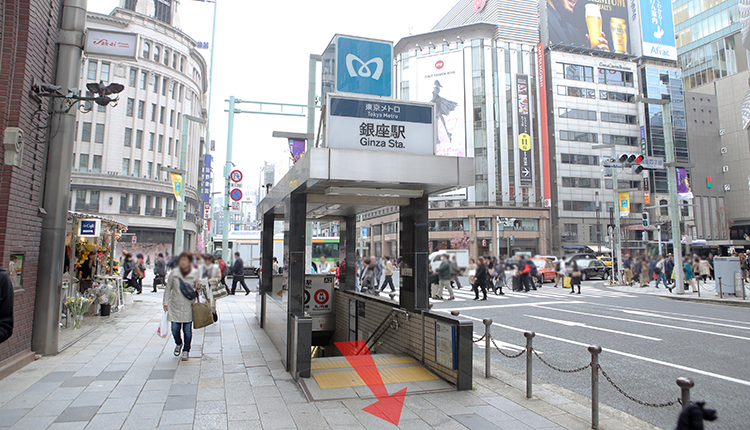 ⑦Walk about 50m you will see a GINZA RASIN on the reft. 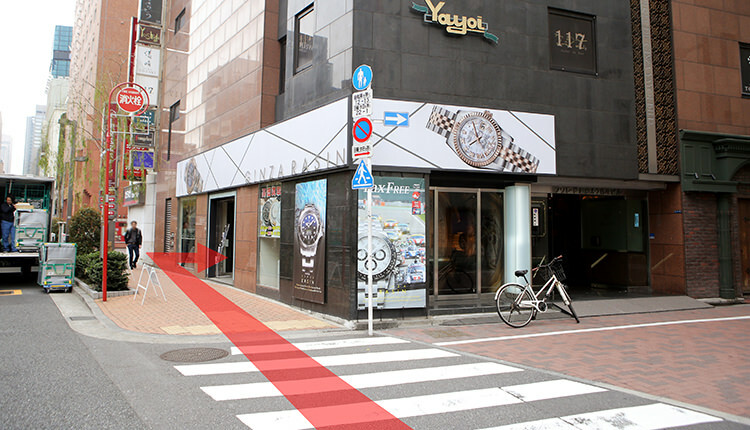 ⑧There is a ”NINE store” which is Rolex specialty store in the building across from the road. 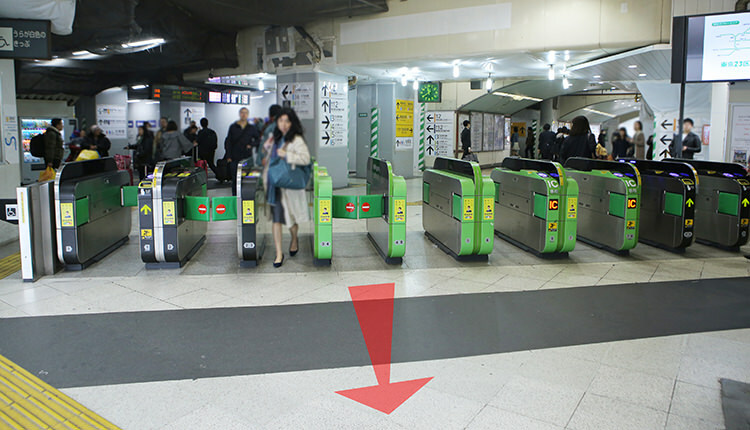 ①Exit the ticket gate and proceed to the A3 exit. 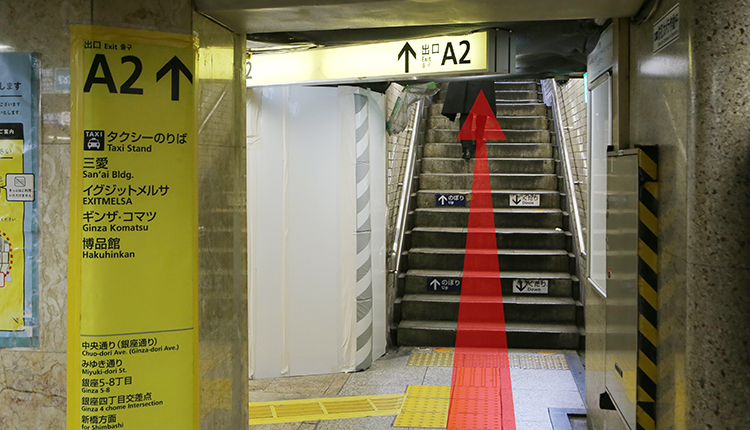 ②Go up the stairs, you will find the stairs in front. Please go up the stairs again. 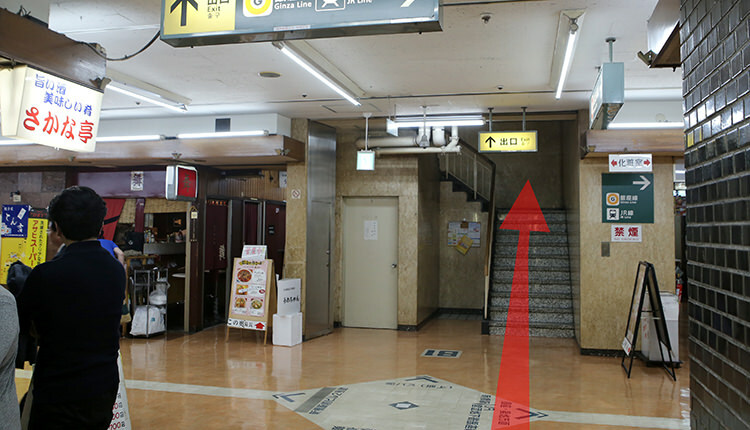 ③After going up the stairs, turn left. 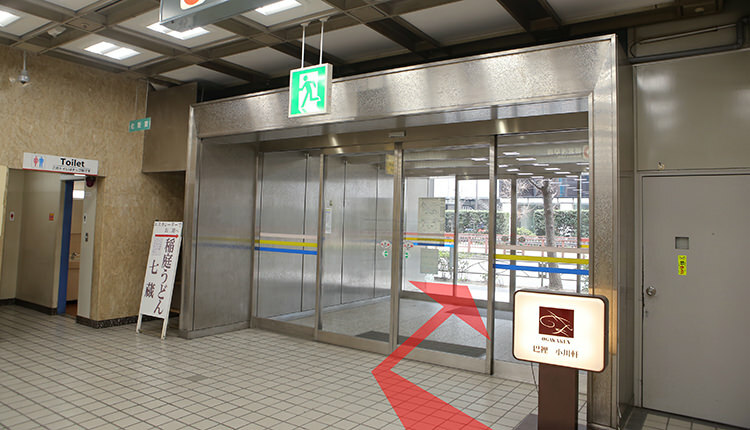 ④There is an exit at the end, go outside. 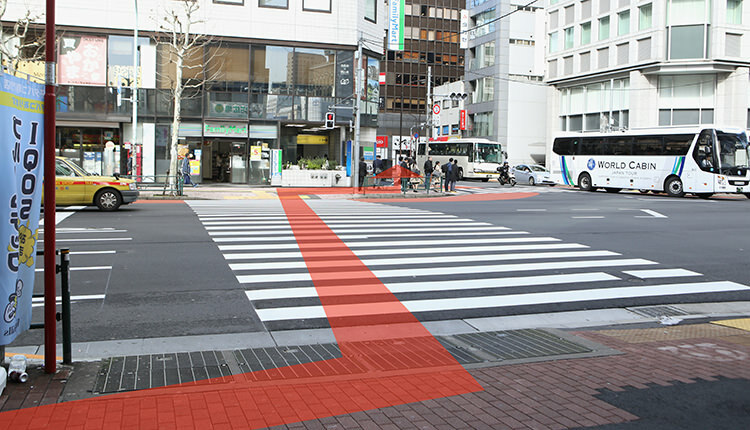 ⑤With the building on your back, go straight to the left. ⑥Go straight on the road where TAMAKIYA is located. 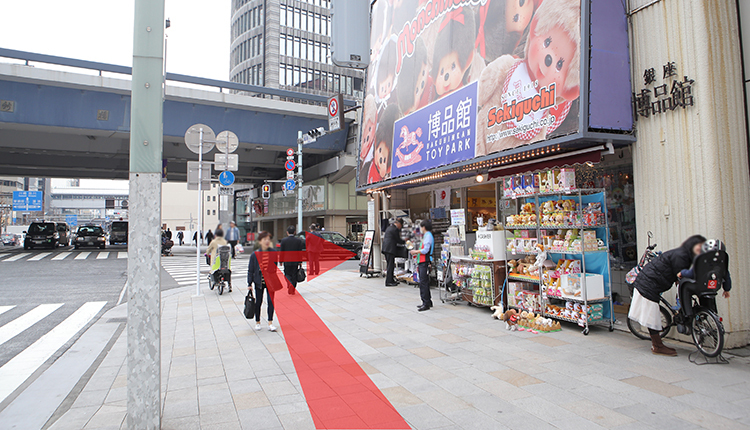 ⑦Walk straight towards the elevated railway. 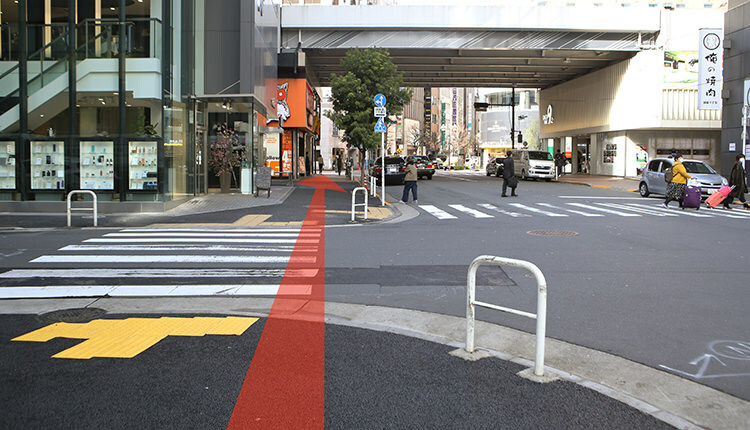 ⑧Pass under the elevated railway and turn left at the intersection where the Hakuhinkan is located. 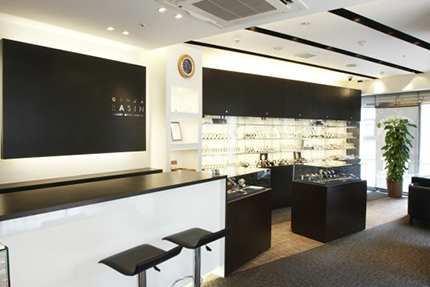 ⑨Walk about 30m, you will find the GINZA RASIN store on your right. 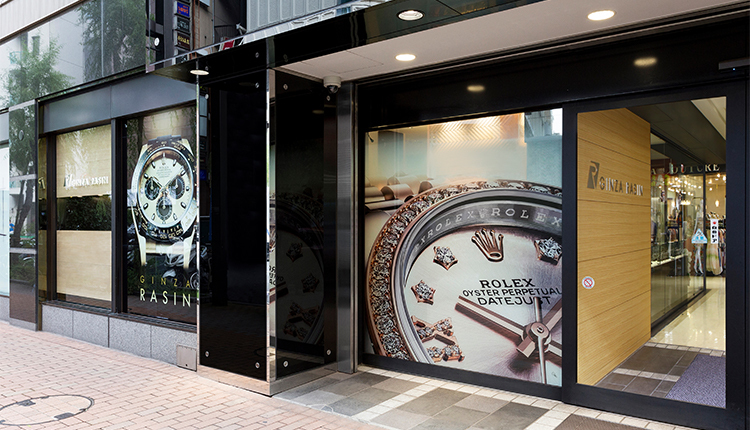 ⑩There is a ”NINE store” which is Rolex specialty store in the building across from the road. 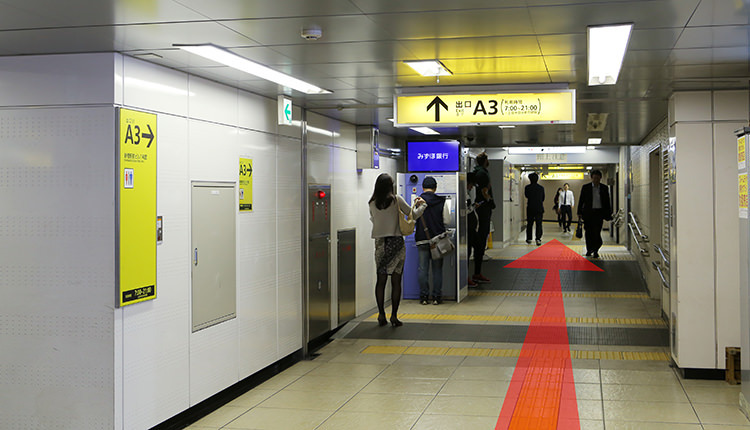 ②With the back at the exit, go straight on the central street. 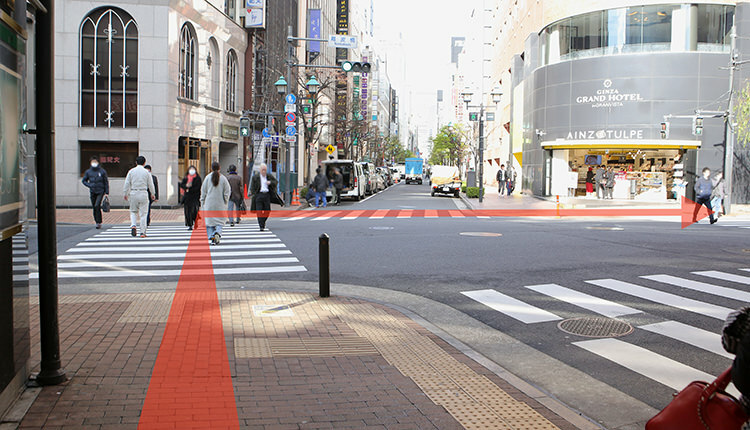 ③You will see UNIQLO on your right, and GINZA SIX on your left. Continue straight ahead. 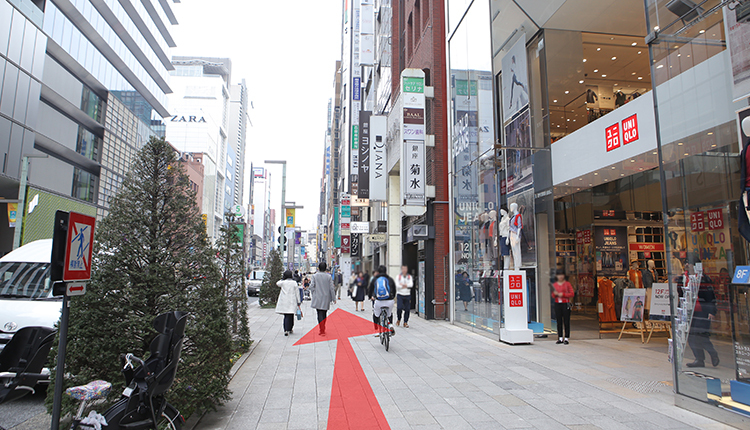 ④Pass by Shiseido Parlor and continue straight ahead. 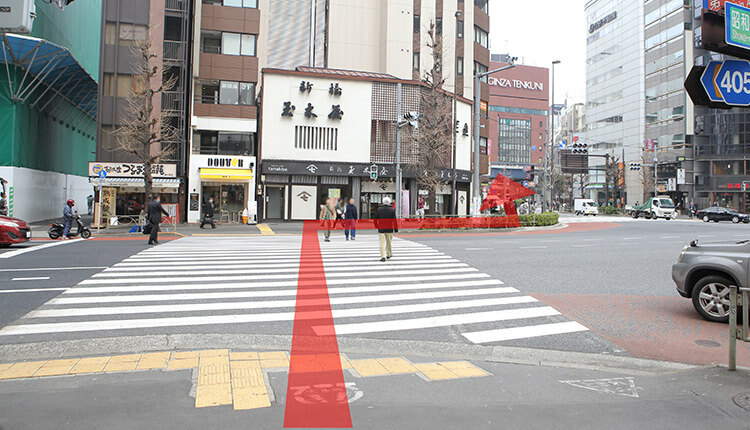 ⑤Before the elevated railway, turn right at the intersection where Hakuhinkan is on the right. 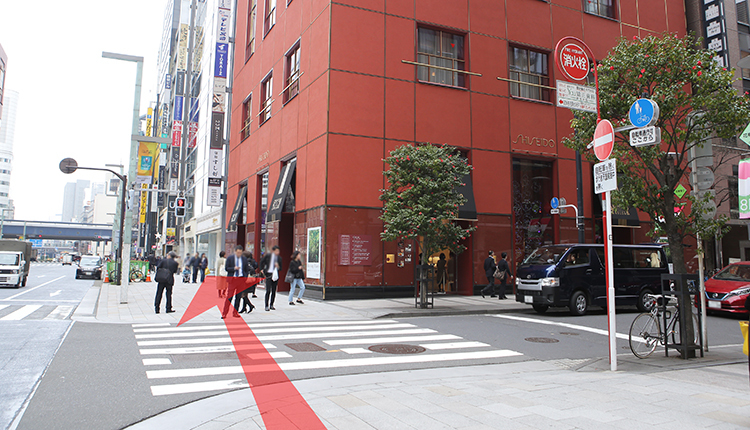 ⑥Walk about 30m, you will find the GINZA RASIN store on your right. 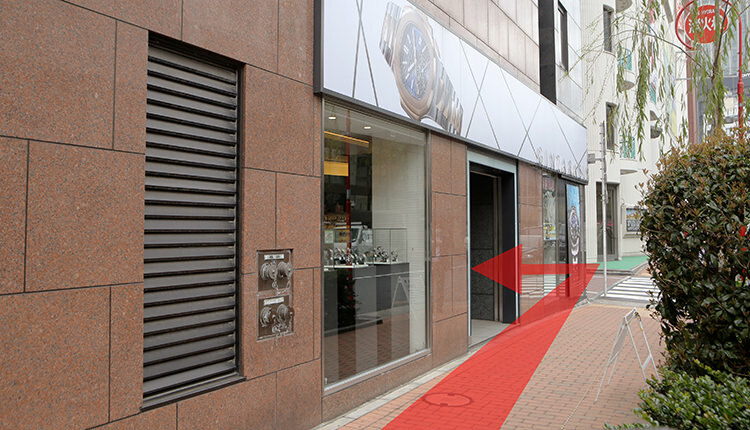 ⑦There is a ”NINE store” which is Rolex specialty store in the building across from the road. 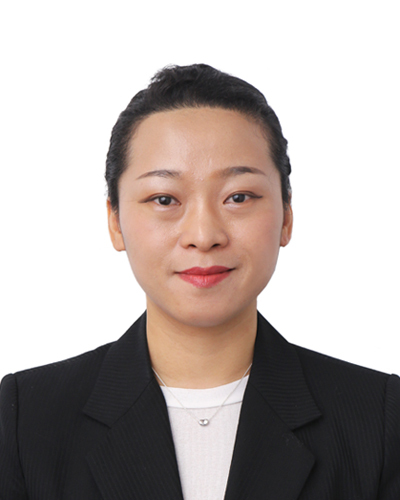 We have staff who are fluent in English, Chinese and Korean. 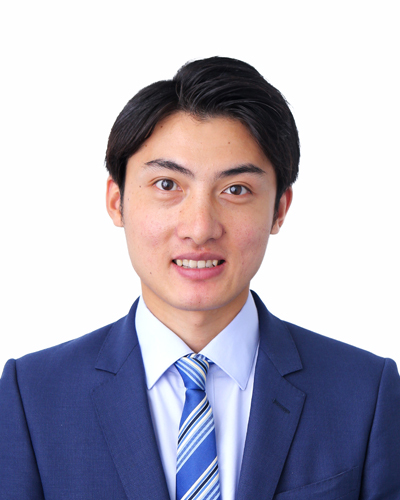 In addition, we have introduced a translator and can respond in 74 languages, so you do not have to be anxious of communication with store staff members. If you are interested in purchasing a watch, please contact us. Information on new products , and so on is distributed in real time via SNS. 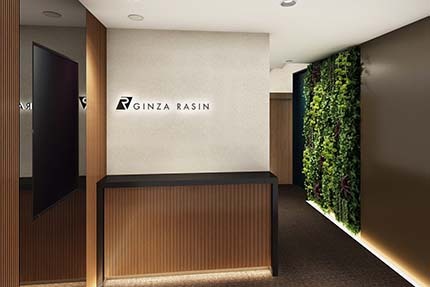 GINZA RASIN exempts customers visiting Japan from the consumption tax, so you can purchased at 8% off price. You can pay by cash, credit cards, and electronic money. ※ We do not ship overseas. If you have any questions please feel free to ask from the mail form. We can set the watch aside until the next day you contact us. Please feel free to contact us via email form . ※We are very sorry but we do not reserve the watch for a long term. Can we ship products overseas? We do not ship your purchased product overseas. Is the new watches genuine product sold in Japan? They are parallel imported products. We purchase from authorized dealers overseas. ※We also handle domestic genuine products for unused and used items. Parallel imported products are maker genuine products generally distributed and sold in directly-operated stores or mass retailers located oversea, and imported and sold in Japan by individuals and companies which have no relations to makers. From the reduced purchasing cost arise from the difference between domestic and foreign sales prices, we can offer them at lower price than the suggested retail price (set price) determined by the domestic agency. There is no difference that both are genuine products. Yes, they are genuine products. We do not handle counterfeit products. You can rest assured of our quality. I am considering to buy a watch. Can you adjust the size of the bracelet immediately? Adjustment is possible at the time of your purchase. ※We might take time for adjustments for not standard bracelets. Can we use credit cards? Does adjustment cost an additional charge? You can use VISA, MASTER, AMEX, Diners Club, JCB, DC, and UnionPay cards. There is no additional charge. ALIPAY, WeChat Pay is also available. Do you handle tax free? We handle tax free for a short stay visitors in Japan. Guests who carry their own passport can proceed with the TAX Free procedure. ※Only Japanese who stayed overseas longer than two years or going to leave more than two years and just temporarily returning to Japan can apply for the tax free treatment. ※If you use an automated gate, we cannot check the date of entry and you cannot apply for tax exemption. Please proceed with the immigration and get an entry permit seal so that we can confirm the date of your entry in Japan. ※ As for the credit card payment, you can only use the card with the same name as your passport. 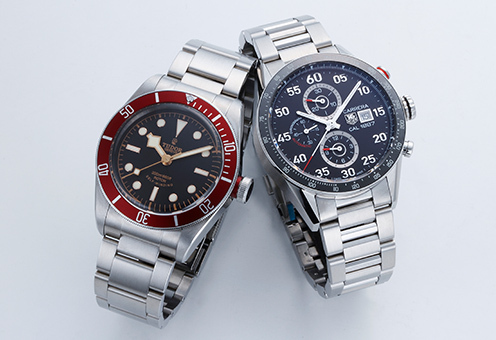 ※New Rolex sports models are exempt from tax free process. What time is the business hours? We are open from 11:00 am to 7:30 pm. Do you have regular store closing days? We do not have a regular store closing day. We are open 24/7 except for the Year End and New Year holidays. I can not speak Japanese. There are staff members who can speak English, Chinese and Korean. You do not have to be anxious about communication with our store staff. company name RASIN Co., Ltd. Copyrights © RASIN Co. All Rights Reserved.